Could the shift towards first-in-class novel oral treatments, which are expected to prove beneficial for prevention of stroke caused by AF, render warfarin obselete? The global anticoagulant market is projected to be worth more than $11.2bn by 2015, more than half of this market being for stroke prevention in patients with non-valvular atrial fibrillation (AF). Unfractionated heparin (UFH) is an injectable anticoagulant that is widely used when rapid anticoagulation is required. UFH binds to antithrombin III and the resulting complex inactivates a number of coagulation proteins, including thrombin (IIa) and factor Xa. This non-specific binding of UFH results in unpredictable efficacy. The injectable route restricts the use of UFH to a limited timeframe in hospitalised patients, with a need for frequent monitoring of bleeding parameters. Furthermore, heparin-induced thrombocytopenia (HIT) occurs in about 3 per cent of patients receiving UFH. To address some of these limitations, subcutaneously administered low molecular weight heparins (LMWHs), such as enoxaparin (Clexane/Lovenox; Sanofi), were developed. LMWHs have a superior pharmacokinetic profile over UFH and can be used in out-of-hospital settings. Yet, LMWHs do not completely eliminate the risk of HIT and the need to monitor bleeding parameters, plus LMWHs are relatively expensive. Warfarin, an oral vitamin K antagonist (VKA) approved in the early 1950s, has ruled the anticoagulant market for nearly six decades. It is the most commonly prescribed long-term anticoagulant therapy and reduces the risk of stroke by more than 60 per cent in patients with AF. However, the use of warfarin has been associated with serious or fatal bleeding, unpredictable efficacy and slow onset of action, as well as adverse food and drug interactions. It also has a narrow therapeutic window, requiring regular monitoring and dose adjustments. The huge market potential, combined with the significant shortcomings of heparins and warfarin, drives the quest for development of new anticoagulants that are well tolerated, effective and easy to use. Factor Xa is an enzyme present at the pivotal point in the coagulation cascade where extrinsic and intrinsic pathways converge, making it an attractive target for anticoagulants. A number of selective, direct (antithrombin III-independent) factor Xa inhibitors have recently been approved or are in late-stage clinical development. Rivaroxaban (Xarelto; Bayer and Johnson & Johnson) is an oral, once-daily, selective factor Xa inhibitor that is approved in the EU and US for the prevention of stroke and systemic embolism in patients with AF and for the prevention of VTE in patients undergoing knee or hip replacement surgery. In a landmark phase III trial (ROCKET AF), rivaroxaban was non-inferior to warfarin in reducing the risk of stroke or systemic embolism, without significantly increasing the risk of bleeding, in patients with non-valvular AF. In addition, rivaroxaban significantly reduced intracranial bleeding, compared with warfarin. For VTE prevention, rivaroxaban was shown to be more effective than enoxaparin. Rivaraxoban is not recommended in patients with severe renal impairment as one third of this drug is excreted by the kidneys. It is under regulatory review in the US for reducing the risk of stent thrombosis in patients with ACS. The Food and Drug Administration's (FDA) Cardiovascular and Renal Drugs Advisory Committee has voted six to four against the approval in this indication, and its decision is expected in June 2012. Rivaroxaban is also awaiting US approval for the treatment of VTE or PE, and for long-term prevention of recurrent VTE. Bristol-Myers Squibb and Pfizer are developing apixaban (Eliquis), which is an oral, twice-daily, selective factor Xa inhibitor. It has been approved in the EU for prevention of VTE in major orthopaedic surgery and is awaiting approval in the EU and US for prevention of stroke in patients with AF. In phase III trials, apixaban was more effective than enoxaparin for prevention of VTE in surgical settings, but not in medically ill patients. Furthermore, the incidence of major bleeding in one trial was significantly higher in the apixaban arm than in the enoxaparin arm. Apixaban also performed well in stroke prevention in patients with AF. In a pivotal phase III trial, it was superior to warfarin in preventing stroke or systemic embolism in patients with AF, with significantly lower rates of major or intracranial bleeding; a statistically significant reduction in mortality was also observed in apixaban recipients in this trial. In contrast, development of apixaban for use in patients who had experienced recent ACS was discontinued due to a clinically relevant increase in bleeding in the global phase III APPRAISE-2 trial. Edoxaban (Lixiana; Daiichi Sankyo) is an oral, once-daily, selective factor Xa inhibitor approved in Japan for prevention of VTE following major orthopaedic surgery. Daiichi Sankyo is not pursuing this indication in other parts of the world. The company's strategy appears to be to seek immediate approval for stroke prevention in patients with AF. Daiichi Sankyo is conducting a large, worldwide, phase III trial of edoxaban for stroke prevention in AF, results from which are expected in 2012. Betrixaban (Portola Pharmaceuticals) is a long-acting oral factor Xa inhibitor that entered phase III trial development for VTE prevention in medically ill patients in March 2012. Promising phase II results of betrixaban for VTE prevention in orthopaedic surgery and stroke prevention in AF have been reported. As betrixaban is only minimally excreted through the kidneys, it has the potential to become the only novel anticoagulant available for use in patients with severe renal disease. Portola is also developing PRT 064445, which is an antidote designed to reverse the activity of factor Xa inhibitors and low molecular weight heparins. It is being developed as a companion product to betrixaban. Sanofi is developing an intravenously administered direct factor Xa inhibitor, otamixaban, as a treatment for ACS. A large phase III trial of otamixaban versus heparin plus eptifibatide is currently underway worldwide, including the US and the EU, with results expected later in 2012. Otamixaban appeared to be as effective as heparin plus eptifibatide in a phase II trial, with a good safety profile. Eli Lilly was developing a once-daily, piperazine class, oral anticoagulant called LY 517717 for VTE prevention. However, no recent development of this agent has been reported since the completion of a phase II trial in 2005 in patients who had undergone orthopaedic surgery. Results from this trial showed that LY 517717 appeared to be as effective as enoxaparin. Three direct factor Xa inhibitors have been discontinued at phase II stage: darexaban maleate (Astellas Pharma), letaxaban (Takeda) and eribaxaban (Pfizer). Darexaban maleate was awaiting approval in Japan for prevention of VTE in orthopaedic surgery, but the regulatory application was withdrawn in February 2011 after regulators indicated that additional trials would be required. Letaxaban was discontinued in May 2011 following disappointing phase II results. DX 9065a (Daiichi Sankyo) is another injectable direct factor Xa inhibitor that was initially developed as an oral agent. However, development was discontinued in 2009 due to lack of efficacy in phase II trials. Like heparins, indirect factor Xa inhibitors are parenterally administered and require antithrombin III for inactivation of factor Xa. Fondaparinux sodium (Arixtra; GlaxoSmithKline) is the only agent in this class currently available in the market. It is indicated for the prevention of VTE after orthopaedic surgery and is administered subcutaneously once daily. Emulating the success of fondaparinux sodium, Sanofi was developing a once-weekly indirect factor Xa inhibitor called idraparinux sodium. The agent shares the chemical structure with fondaparinux sodium, but has a five-to-six-fold longer elimination half-life than fondaparinux sodium. However, a phase III trial of idraparinux sodium for stroke prevention in patients with AF was halted prematurely due to excessive clinically relevant bleeding. Later, Sanofi discontinued the development of idraparinux sodium in favour of a biotinylated formulation of the drug called idrabiotaparinux sodium. Idrabiotaparinux sodium has the same pentasaccharidic structure as idraparinux sodium but has an additional biotin hook to allow fast and efficient 'fishing' by its specific antidote avidin. Sanofi conducted three phase III trials of idrabiotaparinux sodium between 2006 and 2008 in approximately 13,550 patients. In one phase III trial, idrabiotaparinux sodium was non-inferior to warfarin in preventing the recurrent VTE at three months in patients with pulmonary embolism and the incidence of clinically relevant bleeding was lower in the idrabiotaparinux sodium arm. The drug was expected to be filed for stroke prevention in patients with AF in 2011. However, Sanofi has since discontinued its development. The company announced in May 2011 that the drug is available for licensing. Idrabiotaparinux has patent protection until 2026. A key role of thrombin in blood coagulation is the conversion of soluble fibrinogen to insoluble fibrin. Inhibition of thrombin activity can, therefore, provide effective anticoagulation. Ximelagatran (Exanta; AstraZeneca), the first oral direct thrombin inhibitor (DTI) approved in the EU for the prevention of VTE, was withdrawn from the market in 2006 due to its association with liver toxicity. Notwithstanding the initial setback for DTIs, Boehringer Ingelheim (BI) first launched its twice-daily DTI prodrug, dabigatran etexilate (Pradaxa/Pradax), in 2008. Dabigatran etexilate is indicated for the prevention of stroke or systemic embolism in patients with non-valvular AF (EU, US) and for the prevention of VTE in orthopaedic surgery (EU). Between March 2011 and February 2012, dabigatran etexilate sales crossed the 'blockbuster' $1bn threshold. The drug is also in phase III development for the acute treatment of VTE. Dabigatran (metabolite) is primarily eliminated by kidneys and therefore should be administered at a lower dose in patients with severe renal impairment. It is associated with gastritis-like symptoms and bleeding. Regulators in Europe and the US are closely watching and evaluating post-marketing reports of serious bleeding events in patients treated with dabigatran etexilate. BI launched the GLORIA-AF Registry Programme for dabigatran etexilate in May 2012, which will follow 56,000 patients from 50 countries. Interestingly, a study published in Stroke in March 2012 found that dabigatran etexilate was a cost-effective alternative to warfarin. Despite the success of an oral DTI (dabigatran), development of the following oral DTIs has been discontinued: sofigatran (Mitsubishi Tanabe Pharma), AZD 0837 (AZ), and odiparcil (Fournier Pharma). Four parenterally administered DTIs are currently available on the market: lepirudin (Refludan; CSL Behring), desirudin (Revasc; Novartis), bivalirudin (Angiox; Biogen Idec) and argatroban (Novastan; Mitsubishi Chemical). These are generally used in patients undergoing PCI or those at risk for HIT, with only desirudin being approved for the prevention of VTE after major orthopaedic surgery. Bivalirudin is by far the most widely used anticoagulant in the PCI setting, due to improved patient outcomes. Heparins and VKAs have not yet lost their battle for a share in the future anticoagulation market. The LMWH pipeline includes three compounds: certoparin sodium (Embolex; Novartis), semuloparin (Visamerin; Sanofi) and adomiparin (Momenta Pharmaceuticals). Certoparin sodium has been launched for the treatment of DVT and is in phase III trials for prevention of thrombosis in medically ill patients. Semuloparin has been filed for approval in the EU and US for prevention of VTE in patients with cancer starting chemotherapy, and is in phase III trials for prevention of VTE in surgical settings. Adomiparin is in phase II development for the treatment of ACS. Tecarfarin (ARYx Therapeutics) is a vitamin K epoxide reductase inhibitor that has the same mechanism of action as warfarin, but with more predictable pharmacokinetics. Tecarfarin did not show statistical superiority to warfarin in a phase II/III trial in patients requiring long-term anticoagulation treatment. ARYx had submitted a phase III protocol under a Special Protocol Assessment to the US FDA. However, development of tecarfarin has been suspended probably due to financial reasons. ARYx had been seeking partners for the development of tecarfarin. Regado Biosciences is developing an anticoagulant system that consists of pegnivacogin (factor IXa inhibitor) and its antidote anivamersen for the prevention or treatment of thrombosis; the product is in phase II in Europe, US, Canada and Argentina. Regado is evaluating two regimens of the product: one for use in ACS in PCI setting (both drugs administrated as IV bolus) and the other for prevention of VTE after orthopaedic surgery (pegnivacogin subcutaneous depot plus anivamersen IV bolus). Recombinant forms of human thrombomodulin alpha (ART 123; Asahi Kasei) and activated protein C (drotrecogin alfa; Eli Lilly) are also being evaluated in phase II trials. TTP 889 (TransTech Pharma) is an oral factor IX/IXa inhibitor that was also in phase II development in Europe and the US, but development appears to have been discontinued based on negative results from phase II, proof-of-concept FIXIT trial. Other anticoagulants to have been discontinued include tifacogin (Novartis), a naturally-occurring soluble protein with anticoagulant properties, and a recombinant form of nematode anticoagulant protein c2 (Dendreon Corporation). 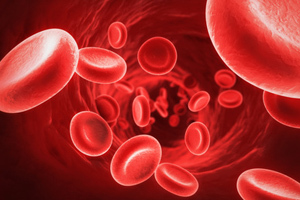 The global anticoagulation market is on the verge of a major shift in clinical practice. It is transitioning from a market dominated by warfarin, UFH and LMWHs, to a highly competitive market dominated by first-in-class novel oral anticoagulants. The availability of such oral anticoagulants is expected to prove beneficial for prevention of stroke caused by AF, which in turn is expected to lead to a decline in warfarin use for this indication. Direct thrombin inhibitors (eg, dabigatran) and direct factor Xa inhibitors (eg, rivaroxaban, apixaban and edoxaban) are emerging as the most promising alternatives to warfarin. These drugs are generally well tolerated and at least as effective as warfarin or heparins, but offer the following advantages: convenient fixed oral dosing, rapid onset of action, predictable pharmacokinetics, a broad therapeutic window, lack of laboratory monitoring and minimal interaction with other drugs or food. While these new oral anticoagulants carry a risk of bleeding, the two leading agents (dabigatran and rivaroxaban) have been shown to halve the risk of intracranial haemorrhage when used for stroke prevention in patients with AF. While it remains to be seen if the mainstay therapies will become obsolete, newer oral anticoagulants will find a marketing niche in the management of non-compliant and/or difficult-to-control patients. R&D Pipeline was written by Yahiya Syed of Adis International (Springer Healthcare), using data derived from Adis R&D Insight, Clinical Trials Insight and inThought.